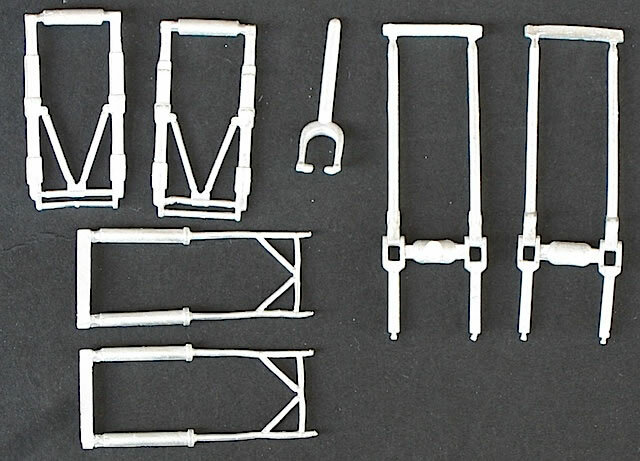 Scale Aircraft Conversions’ white metal replacement landing gear has been around for a number of years now, and – judging by the number and range of new sets being released – is now firmly established as a popular aftermarket range. The first set I purchased was for my 1/48 Classic Airframes Canberra back in 2007, and since then I have always looked to see if there is an SAC set available when I am planning my builds, particularly of larger kits. The five sets reviewed here are typical SAC products, being cleanly moulded, well packaged, and reasonably priced. There are some mould seam lines and some flash to clean up, but not really any more than on plastic landing gear parts. One of the things I like about SAC landing gear is that it doesn’t ‘gild the lily’ by trying to be anything other than what it is – a direct replacement for plastic kit parts, that in most cases appears to be mastered directly from these parts. This philosophy ensures that the SAC replacements generally attach easily to their intended kit – square pegs for square holes, so to speak, which certainly isn’t the case with all aftermarket replacement items. Where SAC deviates from this approach is when there is an identified flaw with the original kit parts; the nosewheel strut of the CA Canberra and the main gear of the 1/48 Airfix TSR.2 come to mind here. In these cases, SAC tweak their products to correct the problem (without necessarily shouting about it). While I don’t know if any of kits for which the review sets are intended have inaccurate landing gear, if they do, then the likelihood is that the issue will have been addressed by SAC. Of the sets under review, I think that those for the 1/72 Hasegawa He-111, Revell Lancaster and particularly the Trumpeter Tu-160 should be seriously considered by anyone intending to build these kits. All are big models that will benefit greatly from the strength of the SAC gear, especially if they are going to be moved on a regular basis. In the case of the Tu-160, the SAC nose gear will complement the metal inserts that Trumpeter provides to reinforce the main gear of this massive kit. 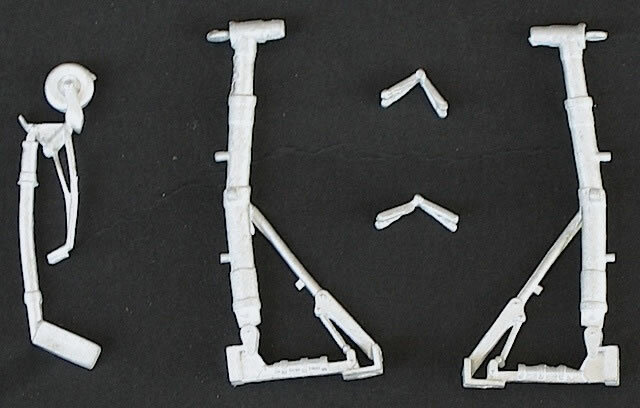 I am less convinced that the 1/48 HobbyBoss Avenger and Ta 152 kits need replacement white metal landing gear. These are smaller models than the three 1/72 kits, and the plastic kit parts should be strong enough to support them for many years. Again, however, if the models are going to be moved regularly – for example, from show to show – then perhaps SAC replacements could be justified. 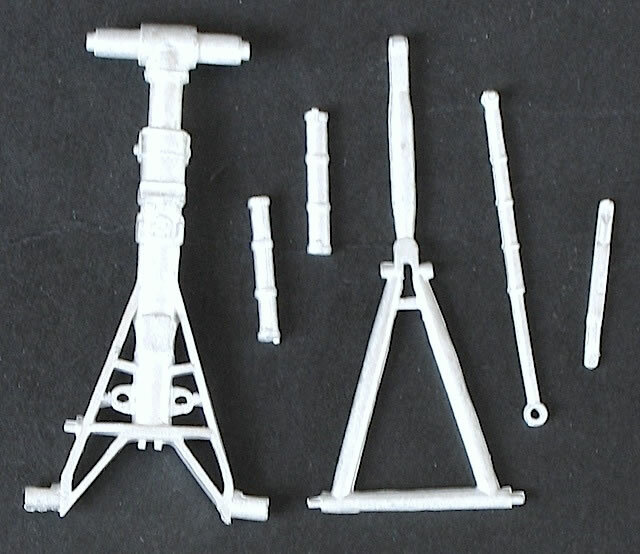 These are all high quality sets that can be recommended to modelers of all skill levels. 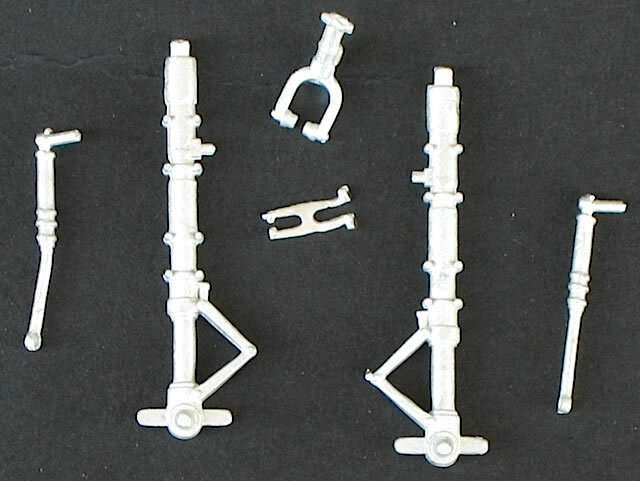 While I believe that only the 1/72 sets are really necessary in terms of providing long-lasting support for heavy models, ultimately it comes down to personal choice – and adding an SAC set to your 1/48 Avenger or Ta 152 certainly won’t do it any harm, and may just save it from that prowling cat or inquisitive child! 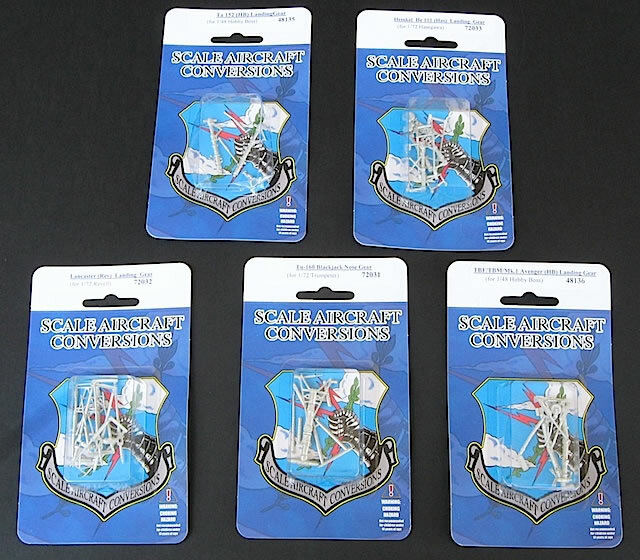 Thanks to Scale Aircraft Conversions for the review samples.